Wow!! 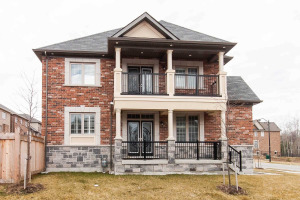 Welcome To This Spacious 4 Bedroom 5 Washroom Detached Home Nestled On A Premium Lot. Loaded W/ Upgrades Featuring Quartz Counters, Oak Stairs, Hardwood Floor, Heated Floors In Bsmt Washroom ,Laundry Room, Fireplace In Family Room & Basement, 5 Pc Washroom W/Jacuzzi In Bsmt, High Eff. New Furnace & Tankless Water Heater Owned, Skylight, Closet Organizers In All Bedrms, Pot Lights, Walk To Schools, Transit, Plaza & 8 Min Drive To Hospital & Hwy 400! !